The Bay Area's Integrity Doors Source. This may just be the ultimate patio door. Contemporary lines, a rich wood interior and a large daylight opening are paired with the unmatched durability of an Ultrex exterior for a sliding patio door that is as functional as it is beautiful. The strength of Ultrex carries over to the sill to stand up to traffic and weather. It even comes with a top-hung screen than never sticks or jams. Integrity All Ultrex Sliding Patio Doors deliver style, durability and an enticing, unobstructed view to the world around you. Whether you are walking out to a patio, deck or porch, you will appreciate the clean sightlines and smooth operation. The precision of the Ultrex sliding door frame stays true without sagging and misalignment that can plague vinyl patio doors to ensure your patio door glides smoothly and effortlessly for years to come. Nothing says "welcome home" like an elegant Wood-Ultrex Inswing French door from Integrity. A door height of up to 8 feet offers gorgeous, unobstructed views and the rich pine door trim can be easily stained or painted to match your interior. The durable Ultrex door exterior stands up to the changing seasons and offers strength in the high-traffic threshold. Enjoy the elegance of a French Door even when space dictates the practicality of a sliding door. Wide stile-and-rail construction showcases the rich wood interior while Ultrex pultruded fiberglass provides a long-lasting, virtually maintenance-free exterior. Two- and three-panel configurations are available in a variety of sizes to create the look you desire. 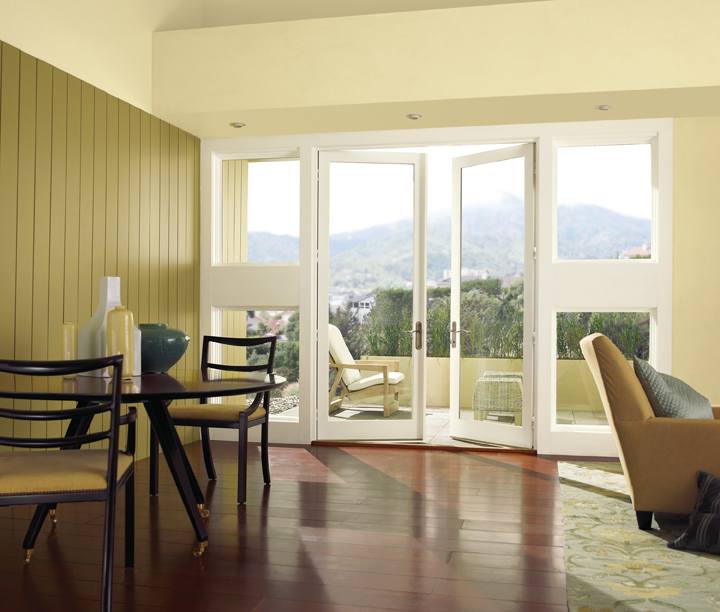 Wood-Ultrex Outswing French doors are the perfect way to welcome friends, family and sunlight into your home. With an Ultrex pultruded fiberglass door exterior providing strength and durability, you will be able to enjoy the beauty of the rich wood interior and classically styled hardware for years to come.